With our aging infrastructure and the continued occurrence of deadly pipeline incidents, mapping the underground is more important than ever for pipeline safety. Pipelines are the safest way to transport natural gas, but increased demand for the aging infrastructure has created a focus on the need for upgrading them. Even though the Department of Transportation (DOT) reports that pipeline incidents resulting in serious injury or death have decreased about 50% over the past two decades, various high-profile incidents including the deadly explosion in New York’s East Harlem this past year and 2011’s Allentown explosion have brought attention to the need to repair and replace at-risk and old lines. On May 12, an explosion involving an 8-inch cast-iron gas main owned by ConEd killed eight people in East Harlem. The National Transportation Safety Board’s preliminary report stated that ‘small gas leaks below the pavement’ were the cause. The pipe was installed in 1887. However, the cause of the leak has yet to be determined, but safety officials reported a broken water main could have been a contributing factor to the explosion. These accidents are just two examples of why repair and replacement of pipelines are an important method of maintaining safety by eliminating pipeline’s rust and corrosion, which can lead to leaks. From Alabama to Austin, pipeline incidents involving gas leaks have occurred. But, the road to repair may be a long one for the cast-iron pipeline, which in some cases is a century old. This particular material has been the culprit in many of these aforementioned cases. “It is important to realize that it is just not logistically or economically feasible to replace all the cast-iron or bare-steel pipe at once – nor does it all need to be replaced right away,” said Lori Traweek, senior vice president and chief operating officer of the American Gas Association (AGA) in a recent Pipeline & Gas Journal article. USA Today reports that since 2004, the most destructive blasts have injured 600, killed at least 135 people, and caused $2 billion in damages. The causes of the blasts go beyond aging gas pipes. The reasons are many and complex ranging from weather conditions to construction workers hitting a gas pipeline while digging. These causes are often outside of the utility company’s control. However, locating pipelines is the only way to prevent these deadly accidents. Geospatial Corporation is dedicated to keeping citizens and construction workers safe by using accurate 3-D mapping of natural gas pipelines exceeding 21’ depths. Recently, Geospatial Corporation worked on a highway expansion project in a densely-populated, metropolitan area that needed our expertise to ensure safety for all of their project workers and community. The mapping decreased the risk of damaging the active pipeline during construction and extraction phases of the city’s project. Using our Smart Probe technologies, Geospatial Corporation mapped 3300’ of a 24’ diameter natural gas pipeline in just one day. 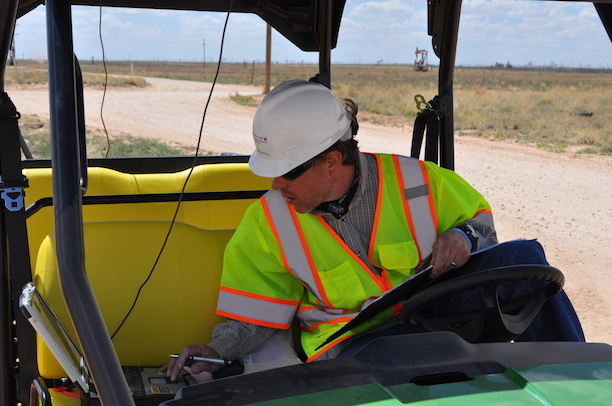 Since the pipeline was serving a large population base, Geospatial needed to do a rapid-deployment for minimal downtime. The pipeline was temporarily taken out of service and spliced in two places to enable Geospatial Corporation mapping specialists to utilize their Smart Probe Inline Mapping Device. This enabled the mapping to be done near a heavily trafficked series of highways at depths exceeding 21 feet – a depth that would have been impossible to map with other known technologies.